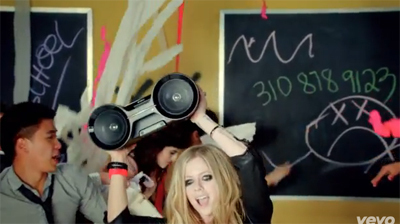 Do you have a question you've been dying to ask Avril? She's going to be answering your questions in a special video for her fans! Submit your questions here (at the official Facebook page) and be sure to follow her on twitter (@AvrilLavigne) to find out when the video is released! I hope she answers some of your questions! Thanks for Avril Bandaids IT, we have BEAUTIFUL, STUNNING, GORGEOUS (I can go on...) scans from Avril and Chad's wedding photo shoot with Glamour Italy. Even though you can tell that the pictures are heavily photo shopped, this is the most glamorous Avril has EVER looked. Just. WOW. Avril and friend Caryn were photographed shopping for sunglasses yesterday in Beverly Hills. We can clearly see Avril's new pretty wedding band! Week 6 lyrics are: "We live like rockstars, dance on every bar". Remember, submit your photo to Instagram using the hastag #AVRILROCKSTAR and good luck! "ROCK N' ROLL" OFFICIALLY ANNOUNCED - LISTEN NOW! 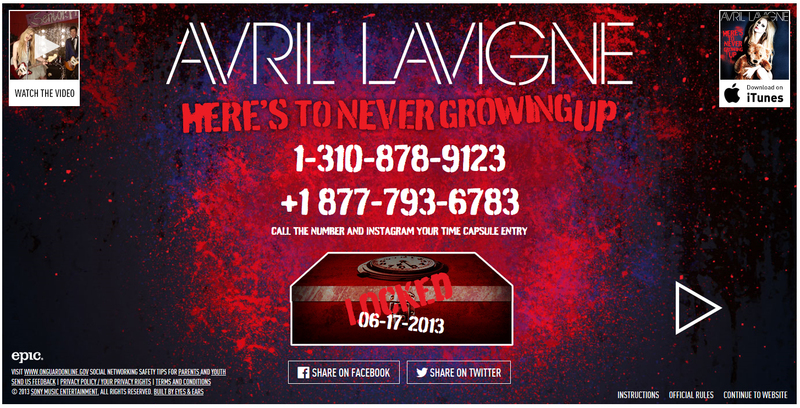 Avril's second single from the still untitled 5th album is coming out VERY soon, and has been officially announced! The single cover for "Rock N' Roll" has been released and shows our queen sitting on her throne. The perfect place! [EDIT] It's released! What do you think? Avril and Chad took some beautiful wedding photos for Glamour Italy. Can't wait for the HQs! Week 5 lyrics are: "When the sun's going down we'll be raising our cups". Remember, submit your photo to Instagram using the hastag #AVRILSUNDOWN and good luck! Avril and Chad were photographed out in Portofino, Italy (July 7) enjoying their honeymoon.